For a small archipelago, Hawaii has big policy goals on energy and climate change. In 2015, Hawaii became the first state to pass a law, House Bill 623, requiring 100 percent of the state’s electricity come from renewable resources by 2045. 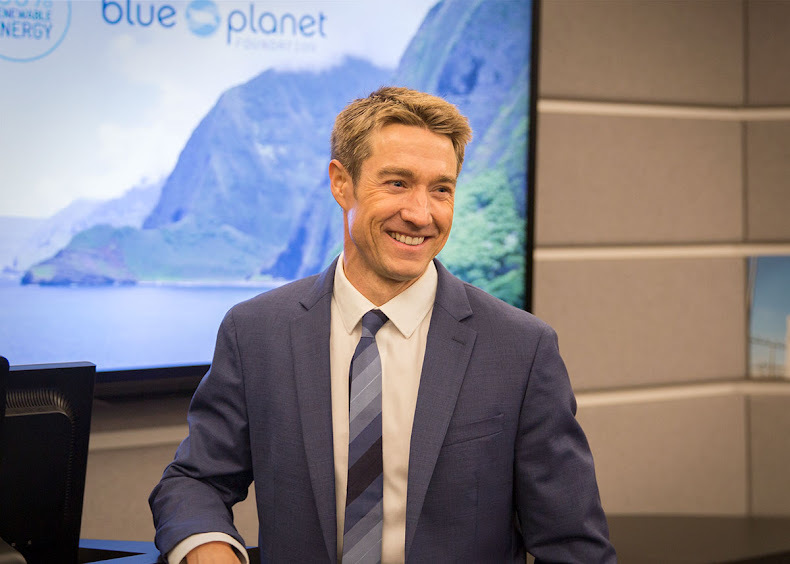 Jeff Mikulina, executive director of Blue Planet Foundation, discussed the law and Hawaii’s other climate change policies during an Oct.19 talk at the California Energy Commission. The Honolulu-based nonprofit, which advocates for Hawaii’s transition from fossil fuels to clean, renewable energy, helped lead the campaign to pass HB 623. While Hawaii is at the forefront with its 100 percent renewable law, the state often takes inspiration from many of the Golden State’s climate change efforts, including Assembly Bill 32. AB 32 established a target for reducing greenhouse gas emissions in California to 40 percent below 1990 levels by 2030. In order to meet that target, California has set a goal of getting 50 percent of its electricity supply from renewable resources by 2030. “You are at the cutting edge in California, and we really appreciate you tackling the biggest challenge this planet faces, trying to get our energy system right,” Mikulina said. In 2008, Hawaii partnered with the U.S. Department of Energy to launch the Hawaii Clean Energy Initiative, a public-private effort to increase the state’s energy efficiency and renewable energy portfolio. In 2016, 26 percent of Hawaii’s electricity came from renewable resources, just behind California’s 29 percent. The initiative is also working to reduce petroleum use in the state’s transportation sector, which accounts for more than half of Hawaii’s energy consumption. Hawaii is second in the country in the number of electric vehicles per capita, behind California, according to the U.S. Energy Information Administration. Hawaii is taking climate change seriously because it has a lot at stake. The small group of islands faces increasing and more severe hurricanes and a projected sea-level rise that would submerge significant portions of the state, Mikulina said. “It reinforces our need to lead on solutions,” he said. High energy costs are also driving the state’s move to renewables. Hawaii residents pay significantly more for electricity than other Americans, largely because more than 90 percent of the state’s energy is imported by ship, much of it petroleum. It also has the challenge of operating an electrical grid on an archipelago, he said. Mikulina said he and his colleagues in Hawaii welcome continuing collaborations with the Energy Commission and others in California to help achieve both states’ climate change goals. “We can go farther together,” he added.